Motivational wall sticker. Decorate your bedroom, living room or kitchen with this inspirational wall sticker. 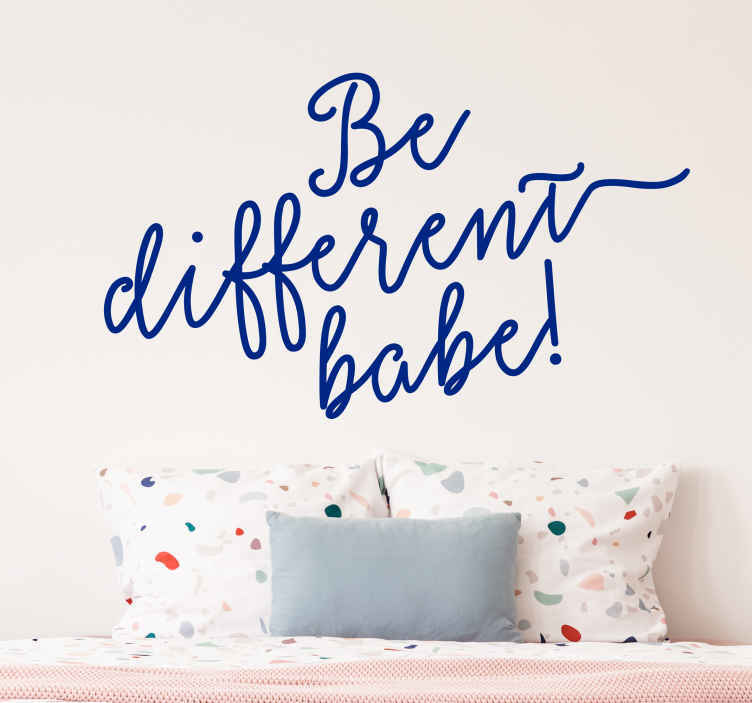 The removable sticker consists of the message "Be different babe" written in a squiggly font. No one likes being ordinary, be different, be unique. This sticker is available in a variety of sizes and colours. We use an adhesive film that is easy to apply to any flat surface and makes no mess.